Caboki Hair Building Fibers Concealer Keratin. Sealed. Khadi Herbal Hair Colour is anall-natural hair colour based on Ayurvedic formulations. One box of Khadi Hair Colour is enough to colour shoulder length hair. Benefits of Khadi Herbal Hair Colour. Keep your hair wrapped in a towel to keep it warm while mixing the powder. Get a new and exciting hair colour with this Crazy Color Rebel UV Hair Dye! This semi-permanent dye will allow you up to 8 washes of exciting and vibrant shades.We love exploring new types of bright pink hair dye and this rebellious new shade is certainly one we cant wait to try. 1 BAR OF 65G. (THIS IS A SMALLER SIZE BAR OF 65G). THIS IS A SOLID SHAMPOO BAR MADE WITH SHEA, COCOA BUTTER, ALMOND AND JOJOBA OIL. IT IS IDEAL FOR DRY, COLOURED OR HEAT TREATED HAIR. IT CAN ALSO BE USED ALL OVER THE BODY, FOR YOUR SKIN TO BENEFIT FROM ALL THE BUTTERS AND OILS AS MUCH AS YOUR HAIR. Marseille Soap. This permanent herbal hair colour gel in Light Ash Blonde, colours gently, effectively and provides complete grey cover. It also has a natural translucent property to enhance your hair with a light-reflecting, healthy shine; so, it doesn’t create the ‘block colour’ look often associated with chemical colourants. Manic Panic Amplified wear it loud formula, lasts longer and gives a more intense colour. Manic Panic® brought you this electrifying semi-permanent hair color in 1977 and changed the world! Used by countless celebrities, models, and celebrity stylists. Acids, such a skin collagen of pig. 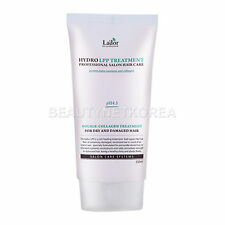 and softness of the hair in the component containing protein of Hydrolyzed mill and silk amino. The resilient soft a hair and scalp. Solutions if exceeds. Balea Professional More Blonde Hair Brightening Spray 150 ml (Balea Professional More Blond Aufhellungs Spray). Hair Test: After 3-5 applications visibly lightens hair (when using shampoo, conditioner and lightening spray of Balea Professional More Blonde line). Hair highlighting/tipping Cap with free tipping needle/hook. Circular tipping guides on cap. Bleed-proof inner liner. Seeking a bright and punchy new hair shade?. Sick and tired of your usual colour?. This bold red number is sure to wow wherever you go! This dye is not suitable for use on hair with more than 10% grey coverage. Wild Growth Hair Oil 4 OzWild Growth Hair Oil is made of 100% natural ingredients that work together to condition, detangle and help you achieve longer-lasting presses. - Longer &Amp; Thicker Within One Month- It Grows Overnight! Everybody loves using the Affinage Infiniti permanent hair colours, really easy to use and great for Salon use, the colour results our fanatic and believably better than Wella & L’Oreal, and the Affinage 100ml tubes go a lot further! T he Ingredient that Makes FOLIGAIN® DHT Blocker so Effective: Trichogen® is a botanical complex of ingredients including: Panax Ginseng Root Extract, Arginine, Acetyl Tyrosine, Arctium Majus Root Extract, Hydrolyzed Soy Protein, Zinc Gluconate, Niacinamide, Biotin, Salvia Sclarea Extract, Cinnamomumb Zeylanicum Extract, Ginko Biloba Extract and Kigelia Africana Extract. Alopia oil is a powerfull blend of natural oils to support health & growth of hair on all parts of body. Alopia oil makes hair thicker and stronger. All Natural.